petition: FedEx: Please Stop Transporting Captive Dolphins for Human Entertainment! FedEx: Please Stop Transporting Captive Dolphins for Human Entertainment! We learned from the recent shipment of three captive-born dolphins to Dolphinaris Arizona that FedEx has been transporting live dolphins for the captivity industry [marine parks, aquariums, and dolphinariums]. Dolphins transported in this inhumane manner are packed in narrow coffin-like crates where they remain immobile throughout the entire trip as if they were inanimate objects. Such cruel confinement causes considerable psycho-physiological stress for dolphins who are accustomed to being mobile all the time, even when resting. There have been some cases in which a dolphin's health has been adversely affected by airborne transportation. Very sadly, at least three dolphins died untimely deaths during flight. Details outlined in the petition letter include reasons that we strongly urge FedEx to stop flying dolphins for the captivity industry. As intelligent, sentient, and highly evolved beings, dolphins are absolutely NOT cargo. Nor are they meant to be transported from one captive facility to another for human entertainment! It has come to our attention that your carrier has been transporting live dolphins for the captivity industry [marine parks, aquariums, and dolphinariums]. We learned that a few captive-born Bottlenose dolphins were recently transported to Scottsdale for Dolphinaris Arizona. 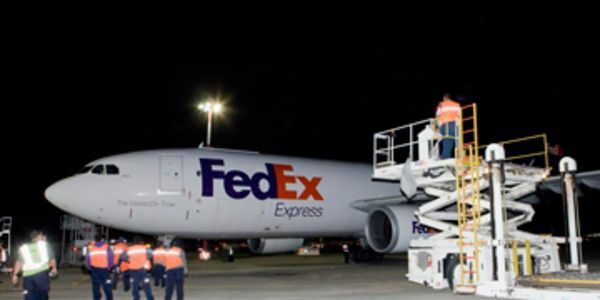 Here are some articles that show that FedEx shipped them out of Hawaii: CBS, Hawaii News Now. We find this to be very unacceptable. Dolphins being transported in this manner are packed so securely that they cannot even move in their slings placed inside their narrow coffin-like crates. Such cruel confinement causes considerable psycho-physiological stress for dolphins who are accustomed to being mobile all the time, even when resting. There have been some cases in which a dolphin's health has been adversely affected by airborne transportation. News story from the Dodo. Very sadly, at least three dolphins died untimely deaths during transport. Sources: The Dodo, and AFP. For the above reasons, we very strongly urge you to please reconsider your position as a transporter of intelligent, sentient, and highly evolved beings for the captivity industry. We ask you to please rework your policies so that your profiting from dolphin shipments will cease altogether.